Aloha! I just got back from a lovely getaway in the gorgeous Hawaiian Islands. I have always been a person who has said, “Why would I travel all the way to Hawaii when I can be in the Caribbean within two hours?”. Well, my friends, I am here to say it, it is just different. It is beautifully imperfect with its abundant palm trees; stunning views of land & sea and the people bring hospitality to life. After all, the pineapple is the international symbol of hospitality. This is going to be a fun one, let’s take a minute to hear about our trip from Columbus, an overnight in L.A., and of course Maui. My husband, our two dear friends and myself have been eagerly awaiting this trip since we booked it late this summer. It was perfect timing as the winter moves in quickly and a new year approaches. We left out of Columbus’ John Glenn International Airport and spent the night in Los Angeles. On the way to Maui we stayed at the Renaissance Los Angeles Airport Hotel and on the way back we stayed at Los Angeles Airport Marriott. Both hotels were just so beautiful, decorated festively, convenient and so hip. The Renaissance, in true Renaissance fashion, made you feel like a local celebrity. 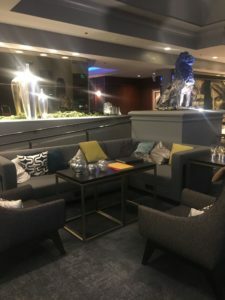 Large posh silver lion statues sat alongside the stairs leading to the elevator banks and the silver holiday decorations glimmered in the dim lighting. Ok, off to Hawaii! Our trip took us to Maui County. 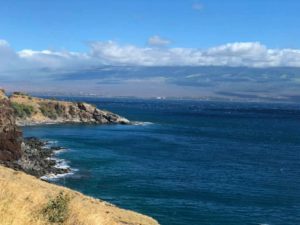 (I learned a lot during our visit including that Maui is Maui County and is made up of 5 islands: Maui, Molokai, Lanai, Kahoolawe and Molokini.) We were on the west side of the island of Maui on Kaanapali Beach. 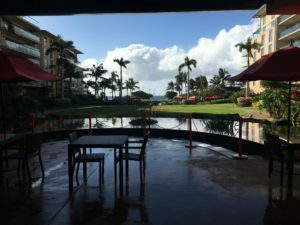 From the minute we touched down at the airport and walked through the open-air baggage claim, it was easy to see why Hawaii is such a favorite among many travelers. THE VIEWS. EVERYWHERE. Our drive from the airport along Hawaii Route 30 to our resort was breathtaking. 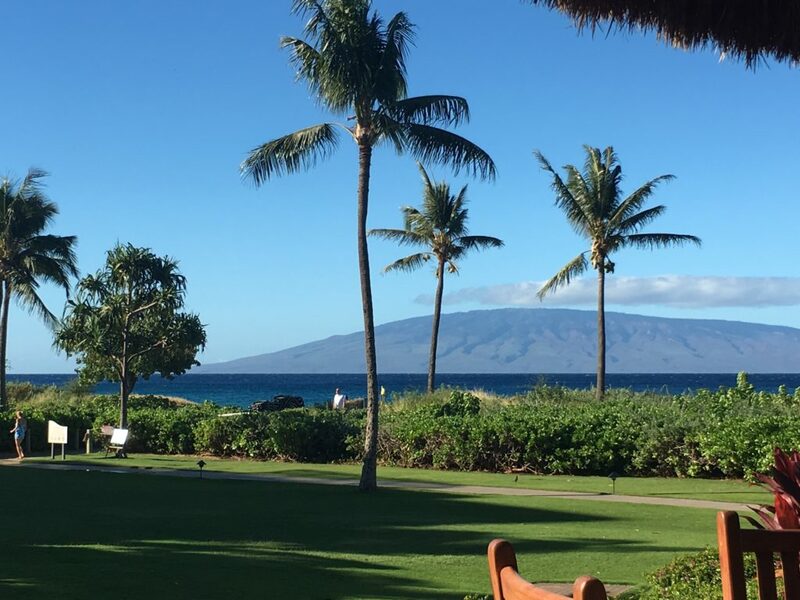 No matter where we were our entire trip, we could look in one direction and see the West Maui Mountains and look to the other for the deep blue Pacific Ocean. The photo to the right is from a scenic lookout on our drive! 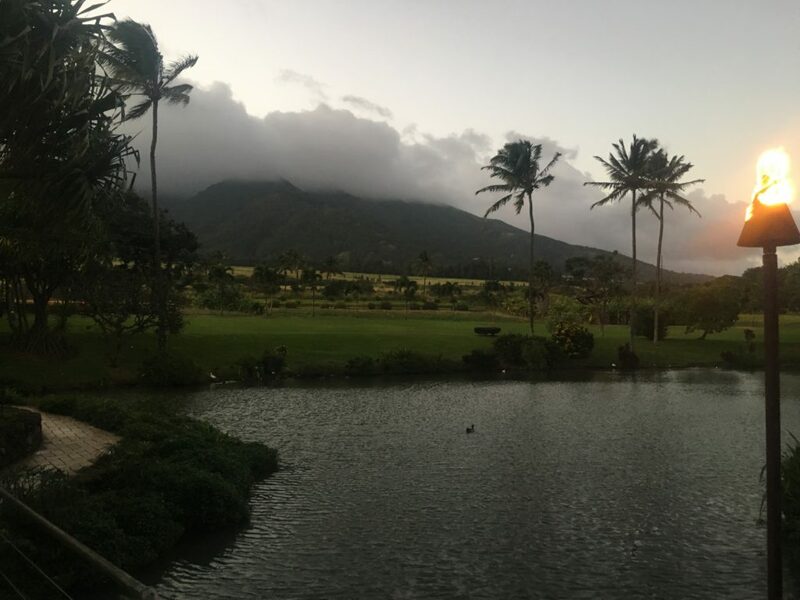 After two flights accumulating 10 hours, an overnight stay in L.A. and a 45-minute car ride, we finally arrived at our home for the next week, Honua Kai Resort & Spa. We walked in the front doors to an open-air lobby (all the hotels had open air throughout their lobby, isn’t that awesome?) and a direct view to red umbrellas, pools and the ocean. Our accommodations were perfect for four traveling together as we had a two bedroom suite with separate rooms & bathrooms along with a spacious living room, kitchen and lanai. We got to our room and we couldn’t move fast enough to get unpacked and into our swimming suits. First stop: Duke’s Beach House. Duke’s sat on our resort grounds and we spent A LOT of time here. Amazing breakfast, lunch and dinner options, all open air and on the ocean, live music in the afternoons featuring your favorite holiday tunes played by the light sounds of a ukulele. At 3 o’clock each day (my husband had an alarm set on his watch… not joking.) they featured Aloha Hour (happy hour), with specials highlighting their Mai Tai and quick bites. We were located just north of Whalers Village which had outdoor shopping along the ocean with a few restaurants (we tried them all). Leilani’s was known for their fish tacos (we now see why), MonkeyPod featured the best Mai Tai on the island (from many references) that is topped with a house made lilikoi (passion fruit) foam and Hula Grill is where we had dinner our first night in Maui. Mahi Mahi was the highlight of just about every menu as it is caught fresh daily and boy was it delicious! 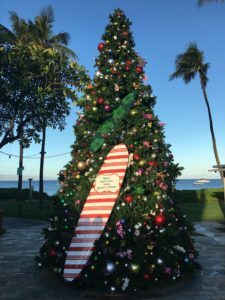 The city center of Lahaina is a quaint town along the shore with many boutique type shops, restaurants, hole-in-the-wall bars & quick bites. One of our favorites was called, Down the Hatch, the food was so, so good and was within an open-air atrium surrounded by a multi floor area of shops. I could go on all day about the friendly people, the views, the food, etc. 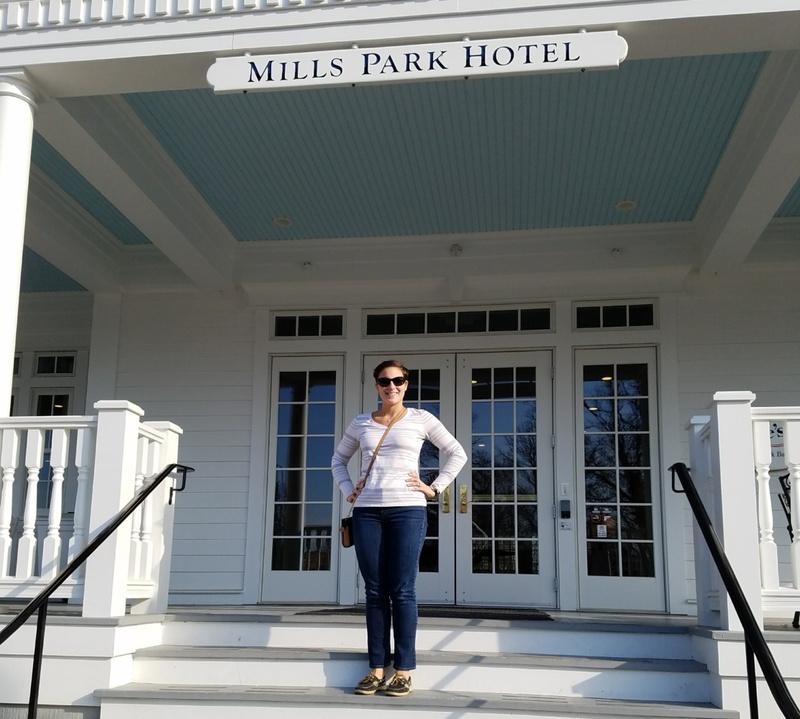 So, I really need to narrow it down and round out this blog with my two favorite memories: The Mill House and whale watching. *Cue Jurassic Park theme song. * The Mill House sits nestled on a tropical plantation along the West Maui mountains. (Do you remember what Jurassic Park looked like prior to destruction? This is it. Ok, well maybe not literally, BUT, the 1993 classic was shot on Kauai with one scene on Maui.) Here we enjoyed true farm to table hospitality. The menu changes daily. I had THE FLUFFIEST gnocchi with root vegetables while my husband enjoyed shrimp dumplings in a shellfish broth. I will never forget this meal or the view for that matter. I am not a big excursion gal. I am just as happy sitting on a beach or floating around a pool. However, I’d go whale watching time and time again. It was by far one of the coolest things I have ever experienced. Though it was still a few days before whale season, we were so lucky, and saw a ton of activity. We even saw two whales breach (jump & flip out of water)! This is the most uncommon occurrence for whales to do and we saw two. If you look closely in the photo below, there is a whale tail! It is amazing to think creatures like these are swimming around our oceans. 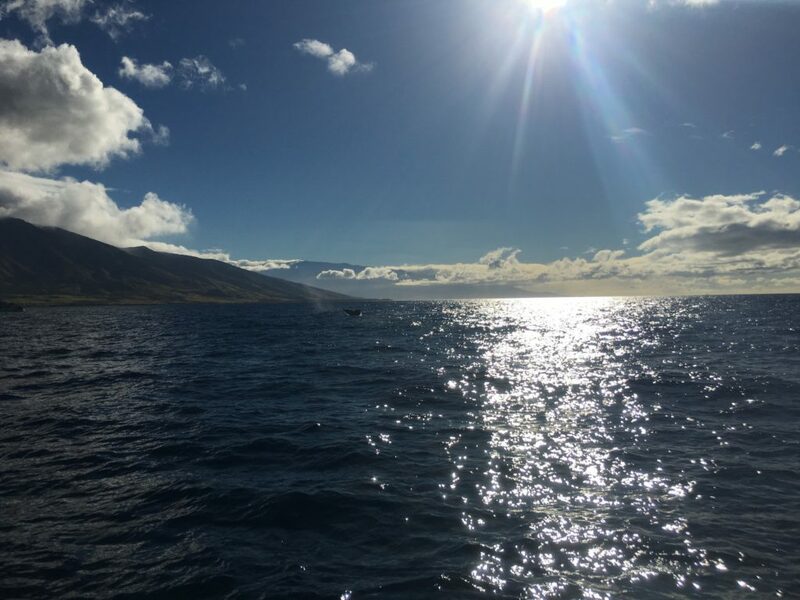 Whale season peaks during this time of year because the whales travel from Alaska to Maui to mate in the warmer waters. Baby whales do not have a blubber layer built up when born and cannot be birthed into the cold waters of Alaska (like I said I learned a lot on this trip). We also had the great opportunity to attend a traditional Polynesian Luau characterized by celebration with family (ohana). We thoroughly enjoyed the lively dances, traditional Polynesian food and the excitement that comes with a luau. Maui has left a stamp on my heart and I hope to return. In the spirit of the holiday season, let’s keep our hospitable nature alive. Thank you for reading and hanging with us through 2018. 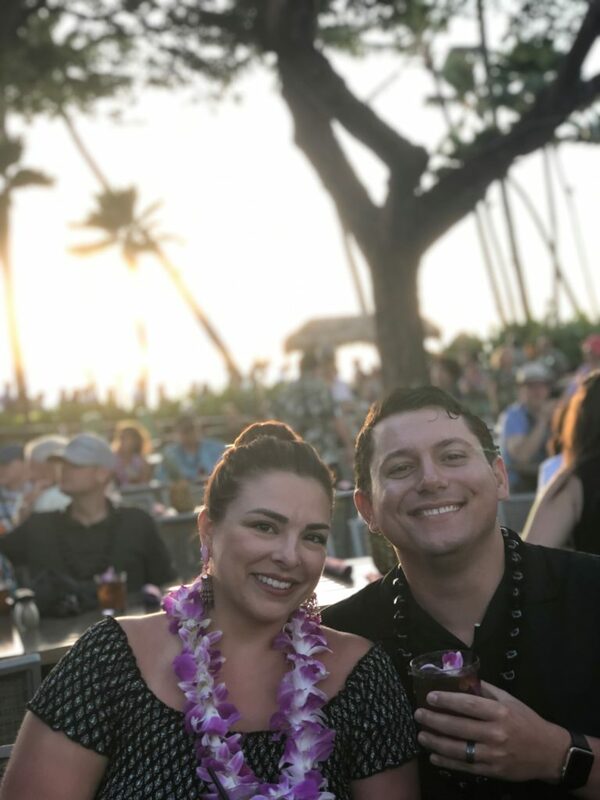 Happy Holidays, Mele Kalikimaka and cheers to 2019! Hi there… I’m back! We went on a brief hiatus to execute our 2018 Annual Conference and to, of course, celebrate the Thanksgiving holiday. Our Annual Conference was a huge success in large part to our gracious host, Nationwide Hotel & Conference Center. For those who are not familiar, Nationwide Hotel & Conference Center (NHCC) is an independent property in Lewis Center, Ohio, near the shopping mecca known as Polaris Fashion Place. 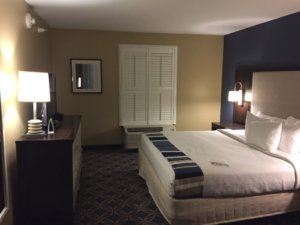 Nationwide Hotel & Conference Center is an all-inclusive campus (15 acres!) 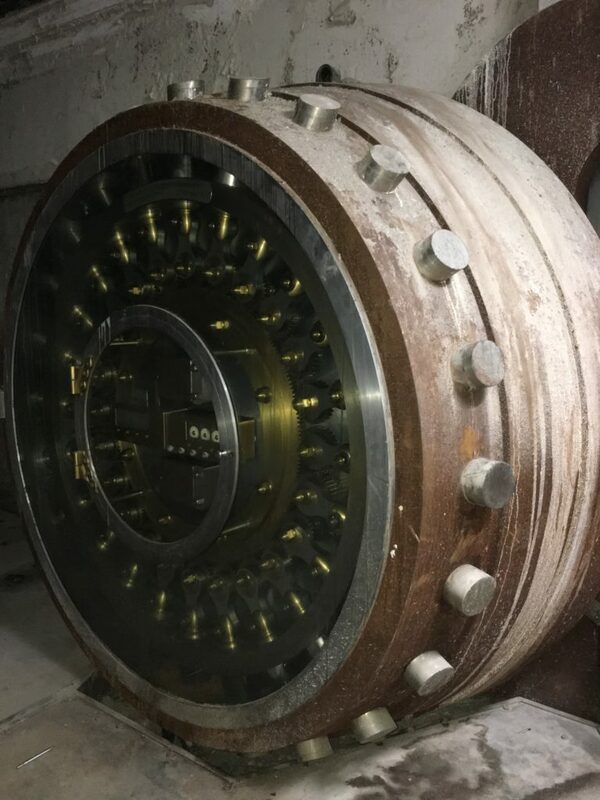 that can cover any need you may require. 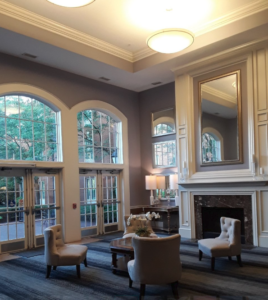 The campus is made up of a hotel, conference center buildings, The Pub, dining room and of course all the amenities you come to enjoy from a hotel like a gym, a pool, room service, etc. The grounds of NHCC, no matter the time of year, are always pristine. The driveway to the main parking area is lined with black light posts that always have a seasonal fixture. In the summer they boast bountiful hanging flower baskets, during our visit this winter, lit wreaths with red ribbon bows (‘tis the season!). There is also a little walking bridge (it is so adorable!) and is currently decorated with lit garland and small red bows. The hotel is inviting and cozy! We were warmly welcomed by a two-story wall of windows, a burning fireplace and comfortable seating. (My colleague, Carla, mentioned how she wished it was socially acceptable to come back to the comfy chair in front of the fireplace and read a book!) The high ceilings made the space feel grand though the hotel itself is very intimate. I could not wait to get to my room, I was beat! I walked in to a living room that was sectioned off from my bedroom. Vibrant navy and blues with unique characteristics such as white wooden shutters over the windows pulled the space together. I sat on the soft plush couch and caught up on a few Hallmark Christmas movies (I am a total sap!). The bedroom was lovely and I am always pleasantly surprised when I have an easily accessible place to plug in my phone charger! I woke up the next morning to make a cup of coffee. I must have been in a daze the night before because I did not notice the perfectly equipped credenza that had a Keurig, mini-fridge and microwave. I quickly made a cup of coffee and met a group for breakfast in the dining room. The dining room has vaulted ceilings and window-lined walls. Such an open space with excellent buffet offerings. Later this night, we hosted one of our receptions off of the main dining room, it was a huge success mainly because the space allowed for interactive discussions. From a conference services standpoint, the space is hard to beat! 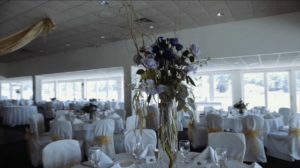 Excellent facilities for a large dinner such as our annual Ohio Stars of the Industry Gala Dinner drew hundreds of guests. The breakout spaces are flexible, and the center flows easily. 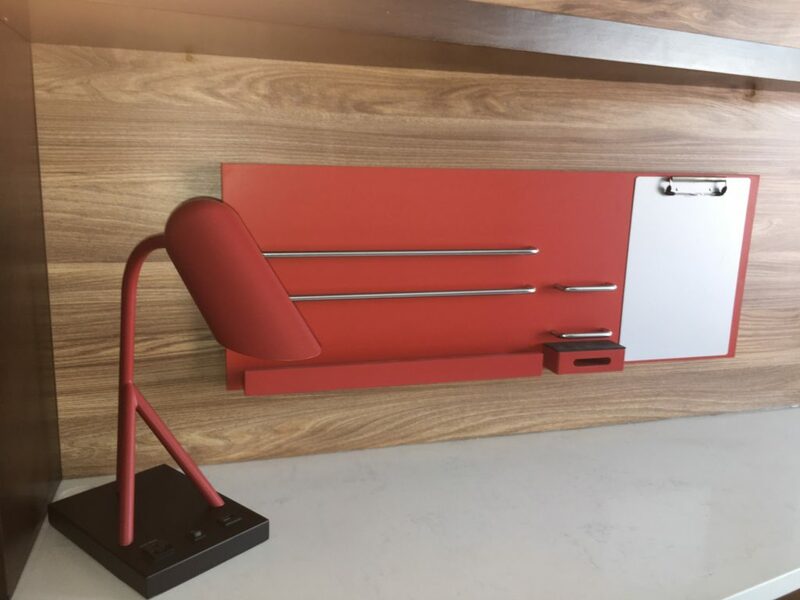 One of my favorite attributes are the built-in credenzas and refrigerators for food & beverage breaks that don’t affect your traffic flow of guests. The Pub which sits adjacent to the hotel and conference buildings is an excellent place to pass the time between sessions. Many of our folks gathered here prior to our cocktail hour leading up to our gala. 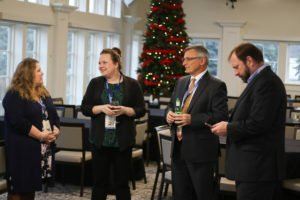 It was packed with colleagues who were taking a moment to catch up in a comfortable laid back environment. Overall, Nationwide Hotel & Conference Center has it all for you to have your best stay, your best event or your best stay-cation. 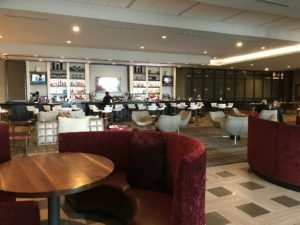 My first trip to see an AC Hotel led me to Beachwood, Ohio, just thirty minutes outside of downtown Cleveland. 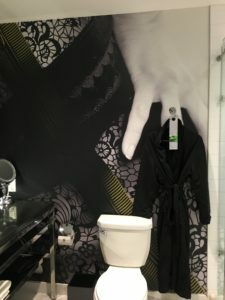 This hotel is unique in that it sits within a shopping, dining and entertainment destination; a brand new development called Pinecrest. 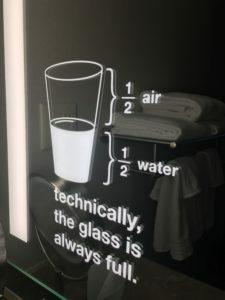 The hotel is so fresh and so new. I parked behind the hotel and walked the sidewalk to the the two-story bright entry. 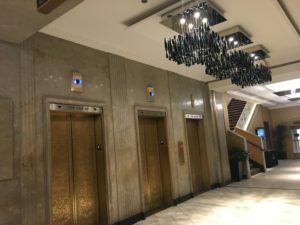 I entered through the glass doors and there was a bellman stand, an elevator, and a contemporary wrapping stairway to the second floor. A long sleek chandelier hung from the ceiling to the first floor. I went up the steps *carefully* as I could not help to look around out the windows at Pinecrest. 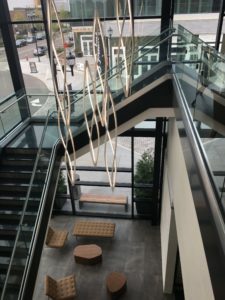 I approached the second floor lobby and was surprised to see how open it was, I could see from the top of the staircase clear across the hotel. I was quickly greeted at the back-lit modern front desk. I had some time to explore and I did just that. The open concept of the lobby area is so inviting. I walked around and loved seeing the vases, artwork and unexpected finds. Sleek lines is apparent through the furniture and tables. I LOVED the ceiling, it had wood accents and large white pendant lights. Subtle colors mix well with the neutral palette. The u-shape bar faces the stairway with a suspended square lighting feature. The lounge contributes to the overall feeling with tapa-style menu items, custom cocktails, an excellent list of Spanish wines and craft beers. 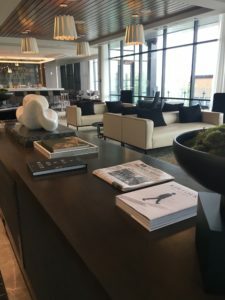 The entire wall to the right of me is floor to ceiling windows which allows for excellent natural light and an opportunity for every guest to connect with the bustling environment outside. There is a terrace accessible from the lobby with seating. Guests can enjoy beverages and snacks from anywhere in the lobby & terrace areas. I appreciated the set-up of the property with a great natural flow and its manageable size. As I continued down a lit hallway I came across a boardroom with one side featuring windows and the other an all glass wall which led out to another public work space and business center. I then got to see a sleeping room. The sleeping rooms are just as stylish! My number one favorite design characteristic is that everything is lit. 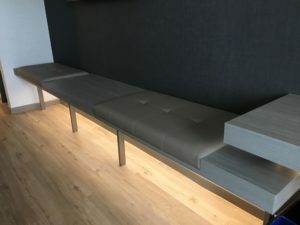 The walls are lit, the bench in the sleeping room is lit, the seating area outside of elevators is lit. The lighting really gives a warm feeling to the contemporary design. The holidays are right around the corner. 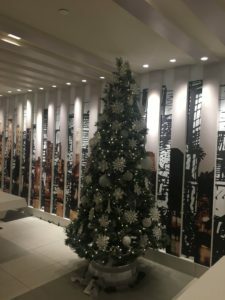 I can only imagine the Pinecrest destination will be decorated in all its splendor; what a great time of year to go visit the AC Beachwood AND get your holiday shopping done in style. Sophisticated. Timeless. Modern. Historic. All words that I would use to describe the Renaissance located in the heart of downtown Cincinnati. You know the feeling when you enter a swanky place and you immediately feel the vibe and you get a little excited? That’s how I felt walking into the Renaissance. 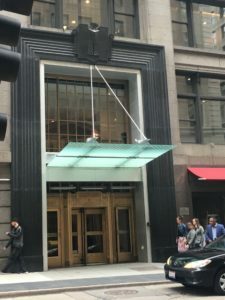 It was a blustery day during my visit to the Queen City, so I was happy to have grabbed a piping hot bowl of tomato bisque and the best caprese salad at the Renaissance’s restaurant D. Burnham’s (the name pays tribute to the building’s architect, Daniel Burnham). 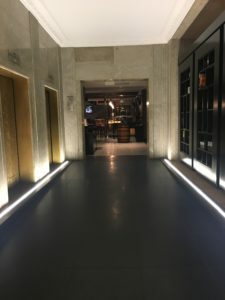 I was led down a short hallway with lit floor boards into a cozy and amazingly chic spot with a fabulous dining atmosphere on one side of the bar and a lounge-style space on the other. There is an array of seating options from free-standing sofas to high top tables. Various fabrics and pillows in different colors contribute visual interest. I enjoyed having a moment to savor my fresh lunch and plug-in to catch up. Known as the Bartlett Building and the former Union Trust Building, the Renaissance has a refreshing take on mixing the old with the new. 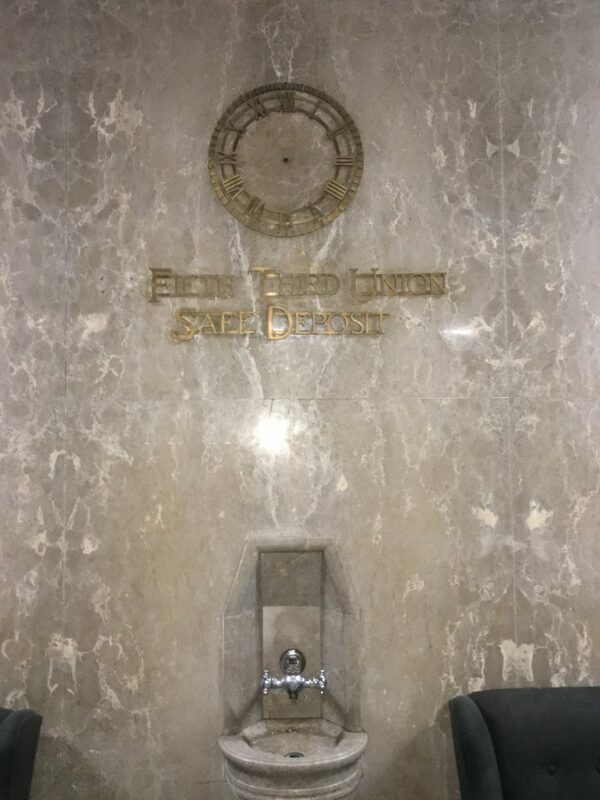 Previously a bank, the hotel boasts gorgeous gold elevator bays, marble walls, and distinctive pieces of its’ past. The arched ceiling of the ballroom with exposed gold metal balconies brings home this spaces’ glory. 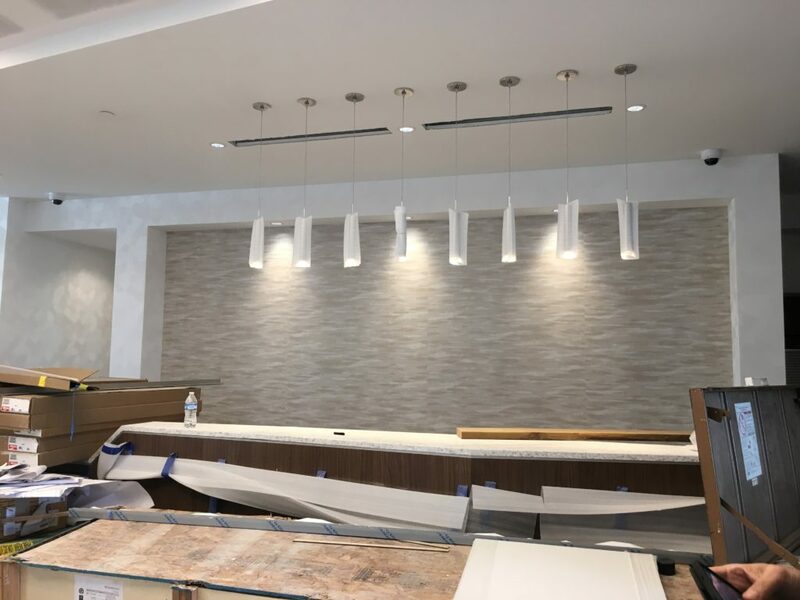 The modernization of the building is evident through the seating areas, light fixtures and artwork. 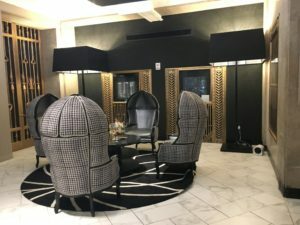 Pictured below is by far one of the coolest seating areas in a lobby I have ever seen (…my favorite color is also black, which is likely why I am obsessing over these chairs and generally all the décor in this place!). Key attributes are the original gold vent detailing, the extra large black lamps and of course, the chairs. 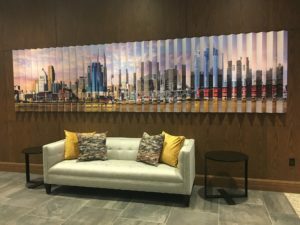 Also found along the hallways are contemporary black and white portraits of kings and queens paying homage to city’s nickname, the Queen City. The sleeping rooms are just as chic with a mix of lighter gray and white tones with splashes of black, metallic silver, and fun patterns. The bathroom is noteworthy. 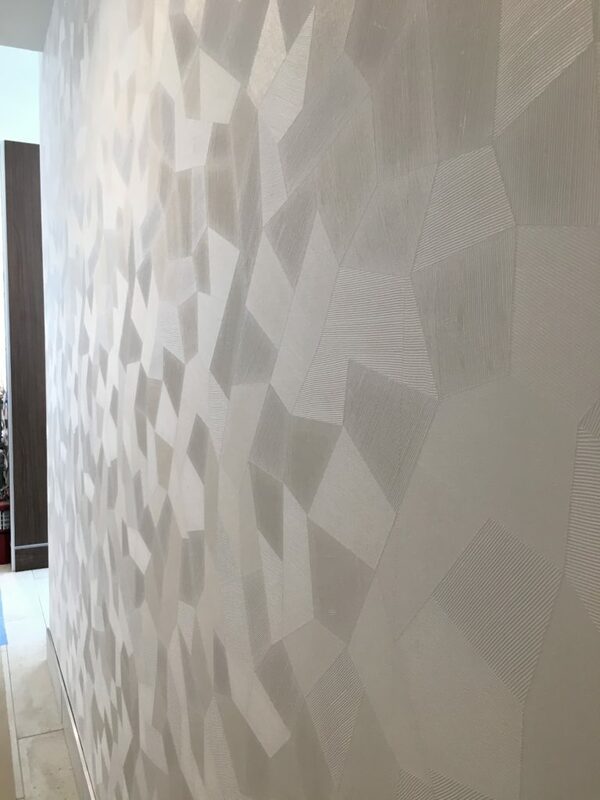 One wall covered in a funky wallpaper and a frosted design on the mirror really makes the design exciting. It is hard to believe we are well into October, my favorite time of year, and approaching the end of another amazing year of growth in our industry statewide. We’ve added new first-time brands in the state, are adding rooms to existing properties and local flare & innovation is all the rage. Looking at the blogs of the past, there are certainly familiar themes that connect them all in some way. Lifestyle brands, creative marketing, leaders challenging the status quo and the importance of your service culture. Now, more than ever, OHLA focus’ on empowering our upcoming leaders through education and workforce development opportunities. Many of the commonalities will be addressed at our upcoming Annual Conference this November to help prepare our industry for the future. What is behind the mass emergence of the Lifestyle Brands? Multiple major lifestyle brand developments are happening essentially simultaneously in Columbus, within just a few miles of each other. It is a major BOOM for the area! In the Northwest region of our state development of a Tru by Hilton and a proposed AVID by IHG is in the pipeline. In Northeast, another Tru and near Cincinnati an Aloft. 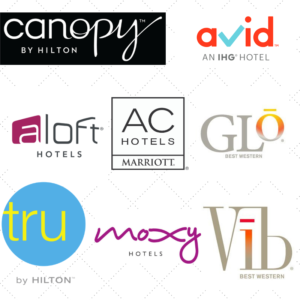 Best Western is also at the forefront with brands like Glo & Vib. What questions do you have about these brands? Brand longevity? Differences between them? Hear from our Lifestyle Brand Panelists: Jenny Aboudou,Senior Brand Manager, Canopy by Hilton; Michael VanAkkeren, Senior Director – Marriott Global Operations Design & Development, Distinctive Brands; Michael Morton, Vice President of Owner Relations, Best Western; Kip Vreeland, Chief Officer of Full Service Franchising, Marriott International. Brands like these are trying to give the ultimate local, fresh, new vibe that our younger and up and coming travelers yearn for. Our Unique Lodging of Ohio (ULO) properties are truly already hitting the nail on the head. From a one bedroom guest house, to cabins in the Hocking Hills area, to a 200-room independent hotel. Each of these properties present a unique experience for their guest. Some of our properties have renowned restaurants, excellent spas, all encompassed within a once-in-a-lifetime experience. Industry progression is marked with innovation and technology. The Westin & Marriott brands are embracing this through Amazon Alexa Echo, to offer a voice activated hotel butler of sorts. Need more towels? Ask Alexa! We are driven on warm, fuzzy hospitality. Are you as curious as I am on how integrations such as this may work and affect our clientele? We’ll be hearing from Greg Pappas from Evolve Controls, who will walk us through what the hotel integration looks like. Evolve Controls works with Volara to integrate solutions such as those listed above: voice activated thermostats with Honeywell and concierge services with Amazon Alexa. There is A LOT happening in our state and industry and we are here to help you manage it. I hope to see you at our annual conference this November to learn, network and toast to our future! Since 1882, this building has been a landmark hotel and is included on the registry of Historic Hotels of America. 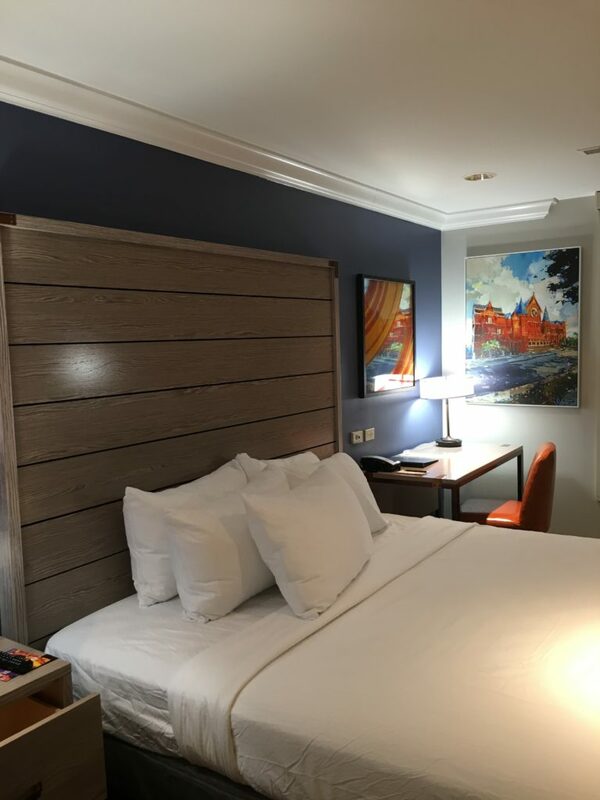 This property has withstood the test of time and is most recently known as The Cincinnatian Hotel, Curio Collection by Hilton, which stands as the first Curio Collection property in our state. The gem that is The Cincinnatian is polished and shiny all over again. Throughout the hotel, reminders of Cincinnati’s history and the remarkable architecture of the property is preserved. Walking in there is an atrium-esque lobby area. However, it was not always an atrium, I learned that there was an interior fire some time ago and to maintain the property, the interior damaged rooms were removed. (Crazy, right?) Now the atrium, has made way for a vast skylight, which allows natural light to overflow the space. I could have spent most of my day admiring the fun artwork but I also had to pop my head into their dining options. First, their grab & go or made to order outlet, Hannaford Market. A great place to grab breakfast or lunch with white tile lined walls and the menu featured on a floor to ceiling chalkboard. Gliding barn-like doors opened to extra dining space or a potential private area. Within this space was my favorite piece(s) of art. Time to circle back to the wall of 90 framed beverage napkins. Each napkin featured a hand sketched Cincinnati-related piece of art, such as a three-way from Skyline Chili, a queen’s crown representing the Queen City or Fiona the famed premature hippo born at Cincinnati’s Zoo. It was so unique and interesting that I had to take a few minutes and look at each individual sketch for its meaning. 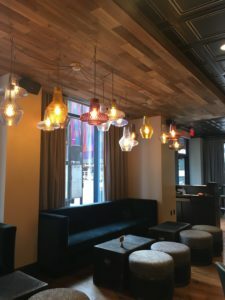 At the busy intersection of Vine Street & Sixth Street, sits the very new Brick & Mortar, an upscale gastropub with a locally-influenced menu. The concept revolves around a large 4 sided bar surrounded by a mix of seating options. Again, the decor is perfect! Comfortable couches and ottomans under an array of various light fixtures, offer a great place to relax or catch up with friends. The front desk is just as colorful as the path I took to get there (my path was the long way). 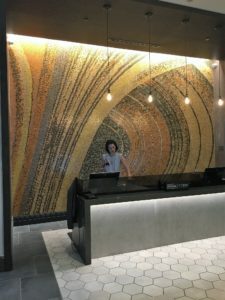 Behind the desk is a floor to ceiling custom mosaic tile that is a replica of the ceiling from the historic Cincinnati Union Terminal featuring vibrant shades of orange and yellow. 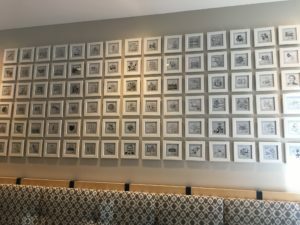 I made my way to see the updated accommodations that featured a great mix of balance between a peaceful subdued palette with splashes of color through more art. 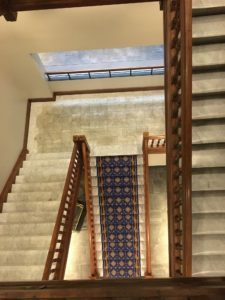 As I made my way back down to the lobby, instead of the elevator, I opted for the stunning, original oak staircase which is such a statement. 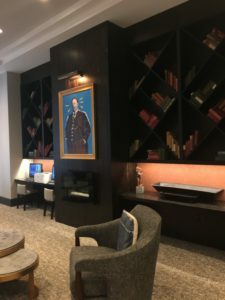 It is safe to say, The Cincinnatian Hotel is back in its glory and has set the bar high for other Curio Collection hotels that will follow. Curious about other Curio properties? Log-in to MyOHLA for the New Construction Pipeline! There is a lot to be said about The Avalon Inn & Resort in the Northeastern corner of our state and my hometown, Warren, Ohio. I was back in Warren for a wedding (imagine that!) and had the opportunity to stay the night at this local Inn. 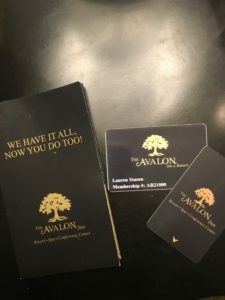 The Avalon Inn & Resort is nestled alongside Avalon Lakes which is a legendary golf course that was designed by famous golf course architect, John Dye. 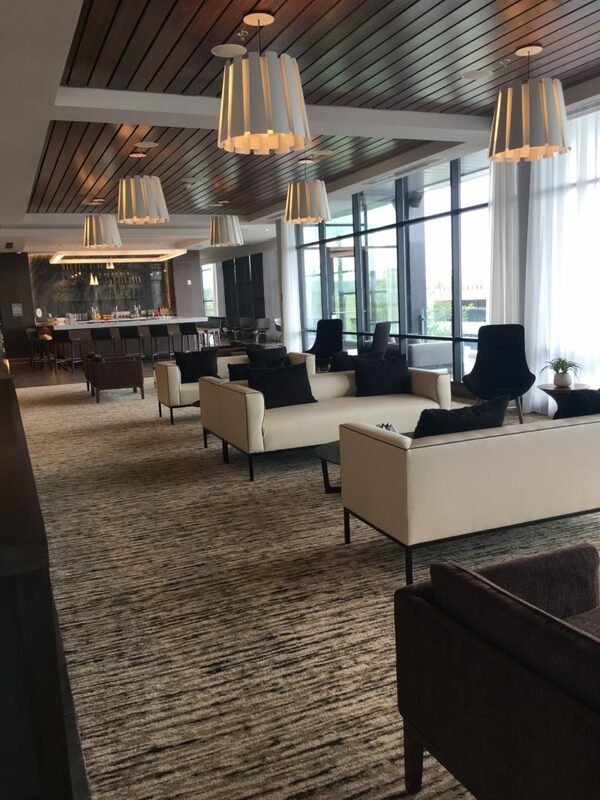 The Inn itself offers excellent views of the course from entry, many of the sleeping rooms and the Grand Pavilion event space which offers a panoramic view of the course with its’ floor to ceiling windows. When you are done with this read, I encourage you to take a look at their online magazine! For some time, Avalon has been the premiere destination for various golf tournaments, outings and special events. I have fond memories of attending several LPGA tournaments as a young girl with my parents at Avalon and if I am being completely honest, I still have my Tweety Bird visor adorned with several autographs. 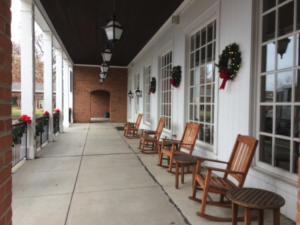 The Inn is charming with a classic approach to a modern time with white and brick exterior. Coming up the steps and through the main entrance I look out ahead and can see a sneak peek of the course. Before I get too far, I am warmly welcomed by the hospitable team (and many more times throughout my stay). I check-in quickly and am handed a sleek black and gold envelope with my key cards and onto room 163! Our accommodations were spacious, comfortable, updated and quite lovely. 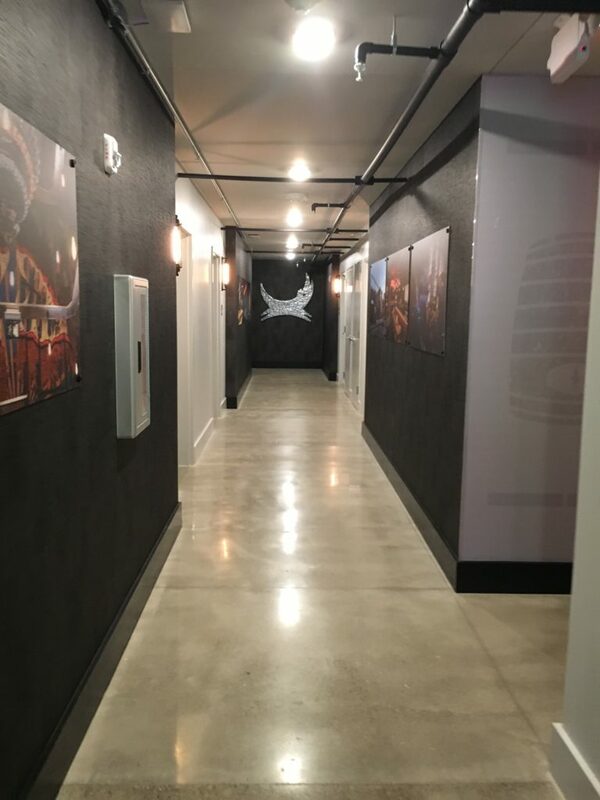 The hallways have accents of black and foil gold patterned walls with white wood paneling. The same vibe carried on into the sleeping rooms with gray and charcoal metallic wall coverings. Our room had a large mini-fridge and coffee station (some of my most important things when traveling!). Oh, and the beds were SO comfortable! While visiting Avalon there is quite the array of things to do such as hit the course for 18, take a swim in their large indoor pool, take care of all your fitness routines in their recreation center, hop on the shuttle to a sister property (Avalon at Buhl Park and Squaw Creek) to enjoy the spa or other golf options. 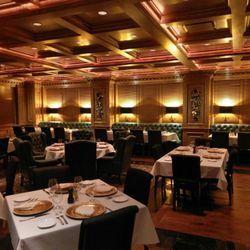 Gatsby’s, Lobby Bar and The Chophouse are all dining and lounge options. Gatsby’s and The Chophouse are both obvious options in the area when looking for steak, seafood, pasta or an extensive wine list. This property is also one of the most highly recommended for events. From their ballroom to the Grand Pavilion, these spaces are easy to make your own but do not require you to. They are beautiful spaces different in their own right. I am sure you are thinking, “Wow! They really have it all!”. Well my friends, Avalon continues to grow and improve their guest experience. Currently, they are mid-construction on an outdoor, multi-tiered pool and lounge area and the renderings are beautiful! If you are searching for an overnight where comfort, hospitality, golf and food unite, this is your spot! Across the brands and across the state we are seeing an increase in dual branded properties. 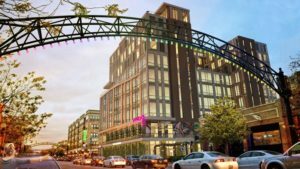 Marriott, Hilton, IHG and Choice Hotels are some of the brands we are keeping an eye on as they expand in Ohio. As hoteliers, owners and management companies hone in on market trends, today’s society and the future traveler we have seen changes amongst the industry. Inclusive of the emergence of lifestyle brands and the phenomenon that is dual-branded properties. The concept itself aims to encompass the needs of a market by providing different cost segments under one roof. 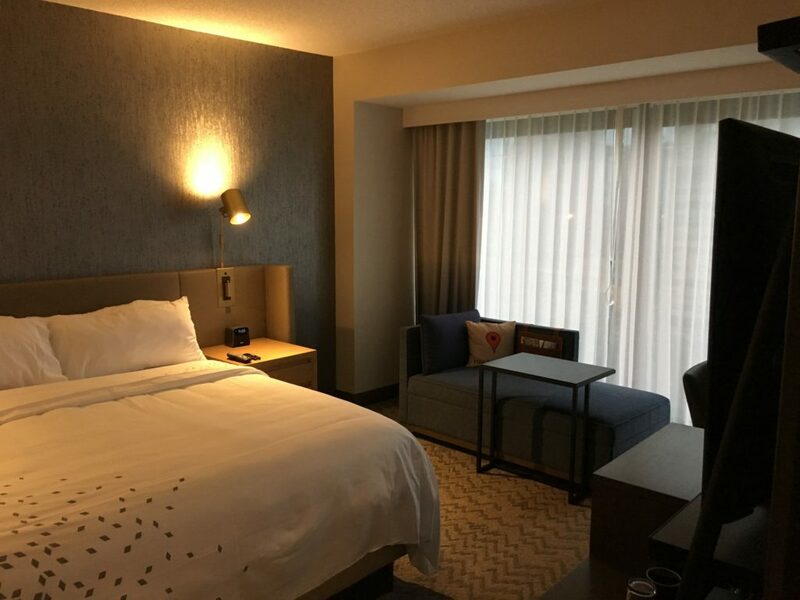 By having two brands under one roof, the guest has an opportunity to experience the best of both brands while on the hotel’s side there is opportunity for savings in areas such as labor and back of house operations. We have two dual concepts from Choice Hotels coming to Ohio offering two combinations. 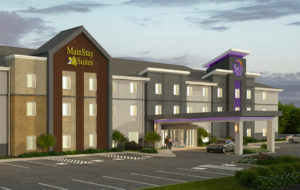 In Logan and scheduled to break ground this year, Sleep Inn & Mainstay Suites and a Comfort Suites & Mainstay Suites near Cincinnati, also looking at a 2018 groundbreaking. These properties will speak to the midscale segment and offer accommodations for extended stay and transient travelers alike. 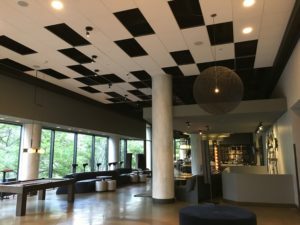 Celebrating their one-year anniversary this past August, this property was a first for Marriott International as it was the first time a full-service Marriott and an extended stay Residence Inn were featured as a dual property. Residence Inn guests enjoy all the wonderful amenities that come with the Residence Inn brand, but by being connected to a Marriott receive even more. 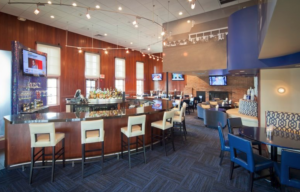 Such as access to a full-service restaurant and lounge, extensive on-site event space and full culinary team behind the daily hot breakfast buffet and evening socials. What a combo! 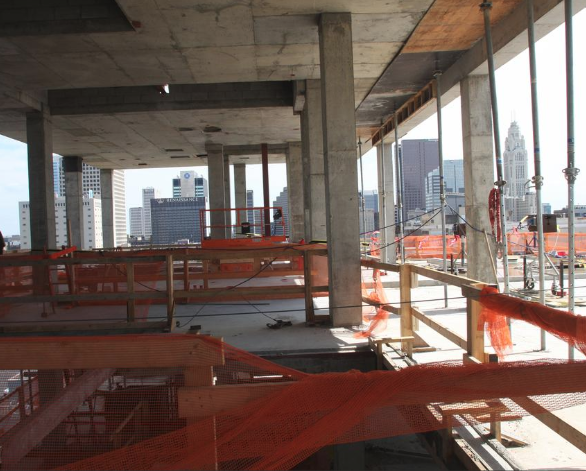 A few others that are on their way & recently opened: Homewood Suites & Hampton Inn Cincinnati Downtown, Home2 & Tru by Hilton Grove City, Hilton Garden Inn & Homewood Suites Toledo, the list goes on… Did you know OHLA publishes a New Construction Pipeline quarterly? It is available in the MyOHLA tab for members. Contact Lauren with questions! 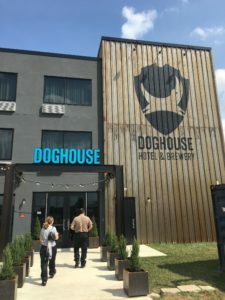 BrewDog known for its Punk IPA and Elvis Juice brews, opened its’ first United States brewery in Canal Winchester last year and now has opened Ohio’s first brewery-hotel, DogHouse Columbus Hotel. This 32-room boutique property is the epitome of a beer lovers dream. A sidewalk leads you past the brewery on the left and the dog park on the right, straight ahead is the entry for the hotel. Walking into to this lobby is different. 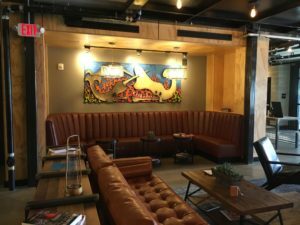 It’s a comfortable, welcoming, be-a-part-of-our-family, order-a-beer, take-a-load-off kind of lobby. What better atmosphere to wait for your room to be ready in? 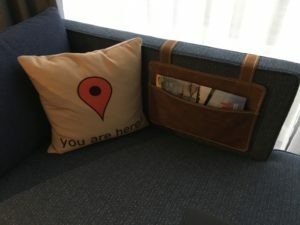 Looking to check-in? Visit the bar to receive your key (a REAL key on a wooden keychain baring the BrewDog logo). 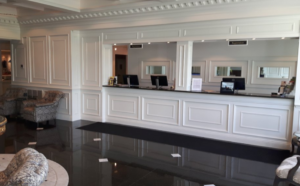 The lobby (I’m not sure what else to refer to it as, but lobby doesn’t feel right…. The communal area?) is furnished in rich colors, relaxed lounge furniture, neon signs, cool books, a ping pong table and grab & go snacks. My favorite neon sign is centered above the bar and reads “Welcome to the Hotel California DogHouse”. I then went up to the third floor which was made clear as I stepped off the elevator to a full scale ‘03’ made of stacked beer cans. Turning the corner, I immediately looked into the open atrium, a part of the brewery. A quiet place where magic is made. Some suites, such as the BrewMaster Suite, has garage-like windows that open to the brewery. 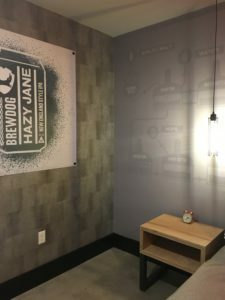 Each room is notably named after one of BrewDog’s brews such as Hazy Jane. Now, what you’ve been waiting for… the sleeping accommodations. All the rumors are true. Yes, there is lovely smelling soaps and lotions made with Elvis Juice and its’ light grapefruit fragrance. Yes, there is a beer draught for your convenience in the room. 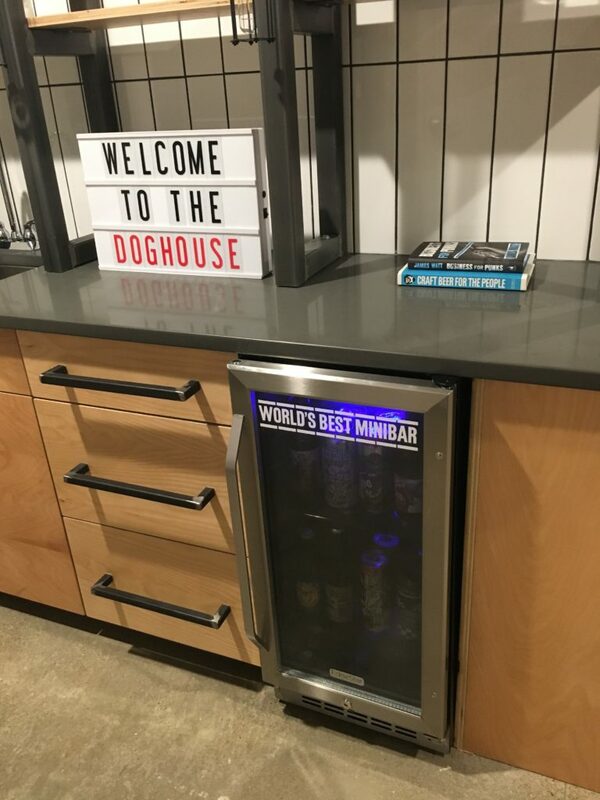 Yes, there is a beer fridge also in the room with a mixture of canned beers. 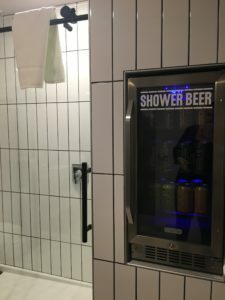 Yes, there is a shower fridge (notably my husband’s favorite feature). What is a shower fridge? 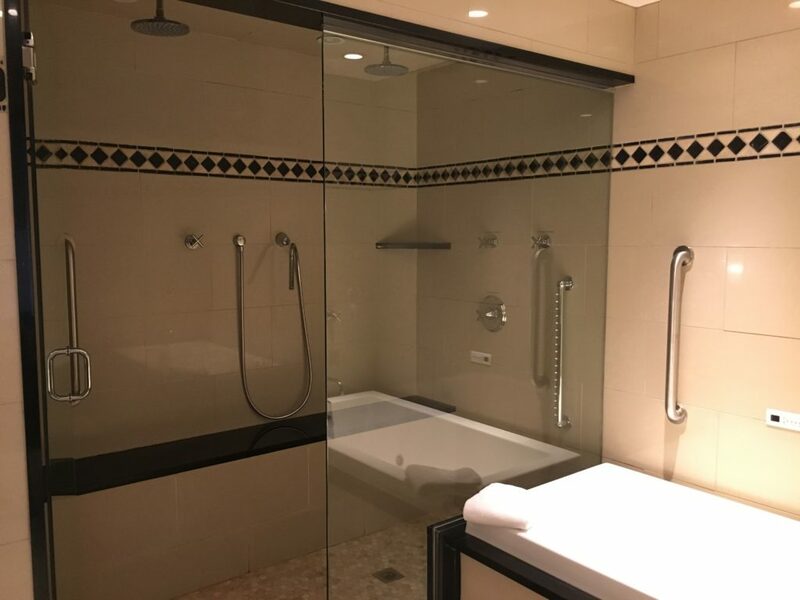 Well, it sits just outside of the shower and is there if you are feeling thirsty mid-shower (or ladies… while you are blow drying your hair? Am I right?). Outside of being a beer lover, are you a dog lover too? Good news for you! A few of the ground level rooms are dog friendly. I don’t think this place can get any better. 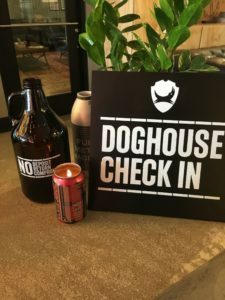 Spend the night, enjoy BrewDog’s full-service restaurant & brewery and innovative accommodations with your furry companion (and there is a dog park adjacent to the hotel!). The property also features a breakfast for overnight guests featuring local flare such as Stauf’s coffee. If this doesn’t make you want to drop what you are doing and check availability, I don’t know what will. 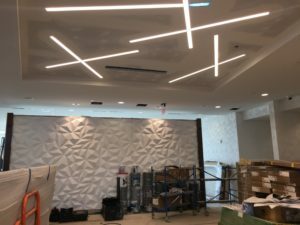 There is so much pride in this project and the employees certainly exude the excitement. I think we can all agree, we, as an industry are just as excited to have this groundbreaking property in Ohio. “Holy Toledo! Either that bird hit a landmine, or you just shot down a kamikaze pigeon!” Quick! Name that show! You guessed it, M*A*S*H. I am sure you are wondering, “Lauren, why are you pulling a quote from M*A*S*H?”. Boy, do I have a reason! 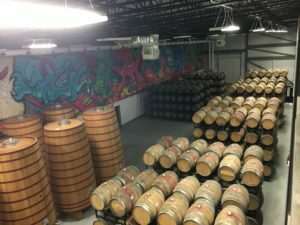 I traveled to our Northwest Lodging Council last week and had the opportunity to stay, enjoy and embrace the not-like-any-other Renaissance Toledo. 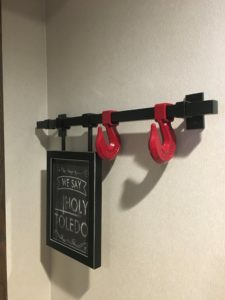 In every way, this hotel pays homage to the city of Toledo. 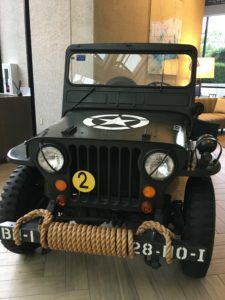 From being the “Glass City”, to Jeep manufacturing and yes, its’ famous connection to the television series M*A*S*H.
I arrived late in the evening and was ready to check-in, eat and sleep. From the moment I entered the lobby, I felt the innovation and excitement. (Toledo is often referenced as the Glass City due to its long history of glass manufacturing but is also known for its automotive industry. Toledo is the Jeep headquarters! These two facts are important to note as I tell you more about this property.) 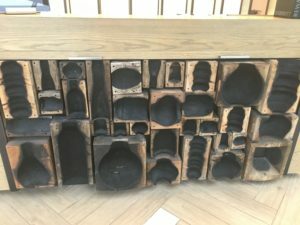 As I approached the faces of the front desks I immediately posed the question “What is this desk made of?”. The answer? Molds a glass blower would use when creating a glass vase, bowl, etc. After Oohing and aweing over the room I headed to the rooftop lounge, The Heights. 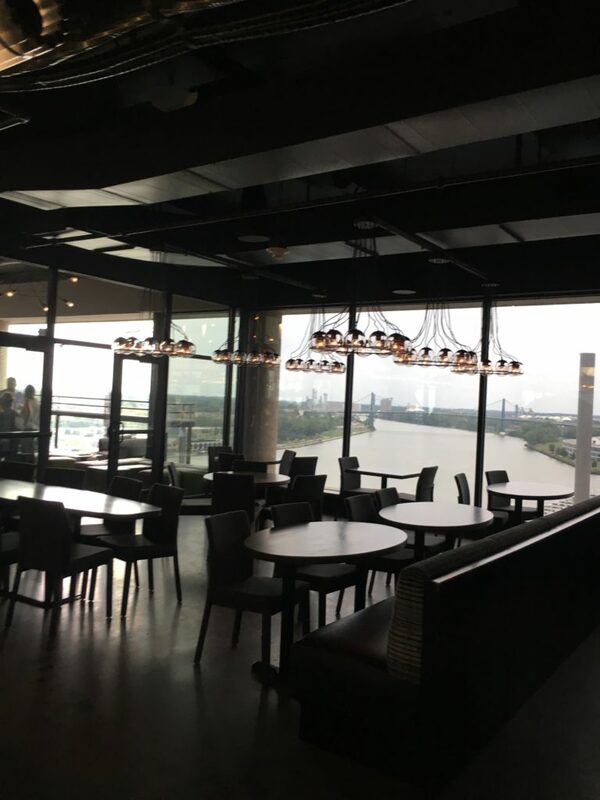 Rightfully named as it offered views of the city and the river with indoor and outdoor seating and the loveliest wood-fired pizzas! I ordered the hummus served with pickled vegetables which was delightful and a four-cheese pizza which I took back to my room to enjoy and continue my 15-but-never-finished Netflix series. 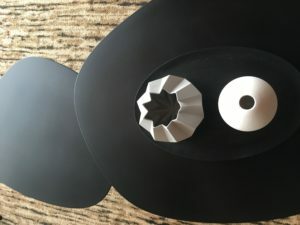 The next day I learned more about the sleeping room design and it all clicked! The sleeping rooms are designed after a glass blower’s studio. Made possible with details such as the chaise in the bedroom which has a fabric like denim and a brown leather pouch hanging over with magazines that is comparable to a leather apron. With the growth Toledo & Northwestern Ohio is experiencing it is safe to say they truly are in a Renaissance era and this property keeps the history and roots of Toledo alive.